It is critical for your business' success to know what your target demographic thinks of it. It is critical tor the success of your business to know how easily your target demographic can find your business. It is also critical for success in business to know your competition and where you stand in relation to it. These days, search engine optimization is an important part of any businesses strategy. Depth analysis is a tool many online businesses use to help them understand and develop their internet marketing strategies. Depth analysis is a report that focuses on search engine saturation and link popularity, two important measurements for your online business. Search engine saturation is a measurement of how many pages from your website search engines have indexed to. If a search engine has indexed many of the pages from your website, then it will find your website much more easily. Your website will tend to have a higher ranking in online searches. People will tend to find it easily. If a search engine instead has only one or two of the pages from your website, then it will not be able to find your website very easily. People surfing the Web will not and to find your site. If you picture the Internet as a large forest, then search engine indexes are like emergency flares. The more flares you send up, the greater the chance that the search engine will find you. Typically, depth analysis will determine the saturation measurement for your web site for all the major search engines like AltaVista, AllTheWeb, Yahoo!, MSN, Google, and AOL. While depth analysis is a good way of finding out how your business website looks to your target demographic, it can do even more. 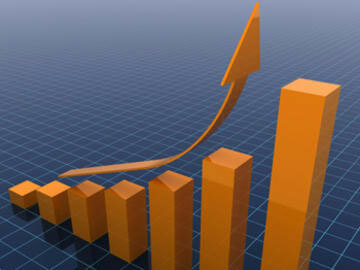 Depth analysis can also help you determine how your business is doing compared to its competitors. Comparing your saturation level to that of each of your competitors can show you how best to adjust your Internet marketing strategy. Depth analysis will show you more than just your saturation level, it will also determine your website's link popularity. This is simply a count of the web sites that link to your site. Your website's popularity can send a lot of traffic to your site. Links from other sites will not only send more potential business your way, it can also increase your site's search engine ranking. Knowing who is linking to your web site can help you increase the number of quality links to your site. This is an important part of any Internet marketing strategy. Your website's popularity can be an important measurement for other reasons as well. If you know what other sites are linking to yours, then you can gain insight into who is interested in your business and why. This is valuable market research. If you know why people are interested enough in your business to go to the trouble of linking to it, then you have a much better idea of how to target your marketing to specific audiences.